The autumn chill is in the air the but after the wonderful summer we enjoyed, we may be reluctant to let go of the outdoor lifestyle. Not so for the swallows that nested in the eaves of my house; after producing five healthy, rotund, chirping chicks the family have flown en masse to warmer locations. Having spent so much time outdoors this summer, Ireland has become reacquainted with its gardens. Garden centres, nurseries and patio palaces are booming. I've used the second level deck at home as my outdoor office. I've scribbled and drawn, written, and devised planting schemes under the eaves of a corrugated slanted roof. I've even enjoyed the rare rain deluge gushing through its channels. But my great new discovery of the year (apart from continual new additions to the beds and borders) has been a series of wonderful electric heaters - seven in all - shining down and emitting their warm glow. I spied them at a trade show a couple of years back and knew straightaway they were for me. It's during the transition from evening to night when they come into their own. They don't waste their heat on the air, rather they heat you through infrared beams emitting a delightful orange glow. It is thanks to them that my enjoyment of the covered outdoor space will last well into the autumn and past it. Last week I returned to Spoga - the garden and outdoor living trade fair in Cologne, Germany, where so many innovations make their debut - and I marvelled at what's trending. Barbecues and outdoor kitchens are about to be big. How many of us went out this year searching for a new outdoor cooker? I've had them in the past but never appreciated them until this year. Our first barbecue was a disaster: the oldies mumbled and grumbled as quietly as they could about the late arrival of the burgers and chicken drumsticks, which when the charcoal failed to light had been whisked to the oven indoors! I soon got the hang of it, however, and we have had many great occasions with me feeling like the hunter gatherer as I marinated, sizzled and cooked hot-dogs. When the cooking was done, the glowing charcoals in the steel bowl acted as another source of heat, over which the kids roasted marshmallows on the end of bamboo canes. There are other garden heaters and mood creators which have also come into their own in recent years, such as chimineas in terracotta or metal. Thanks to a design which allows a lot of air be drawn in, these give off tremendous heat. 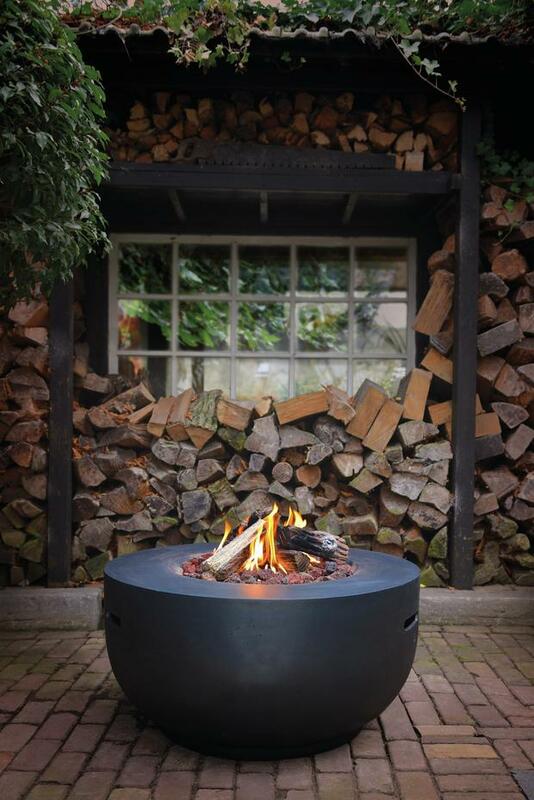 Fire pits have also become all the rage, but for these you need more open space. Allowing for some circulation underneath so that air can be drawn up through the fire is vitally important if it is not going to become a frustrating experience. In contemporary gardens, you'll also find a huge range of bowls of fire using flames created from special gels, which can be purchased in garden outlets, or even gas. These options both look great - however they are often more effective as a visual treat than a good heat source. So heat in the garden has come into its own, and during autumn we can continue to enjoy outdoor time, albeit gathered around a bowl of fire. As the temperatures fall, pull on a jumper, light up the barbie, switch on the heater and extend your use of your outdoor spaces into the late months of the year. I've even heard of people who cook Christmas turkey on the barbecue - now that's got me thinking! Chimineas were introduced to America by Mexican tribesmen. Traditionally they were used as a vessel for cooking and baking. The structure kept the rain off the fire and the family kept warm, using very little fuel.